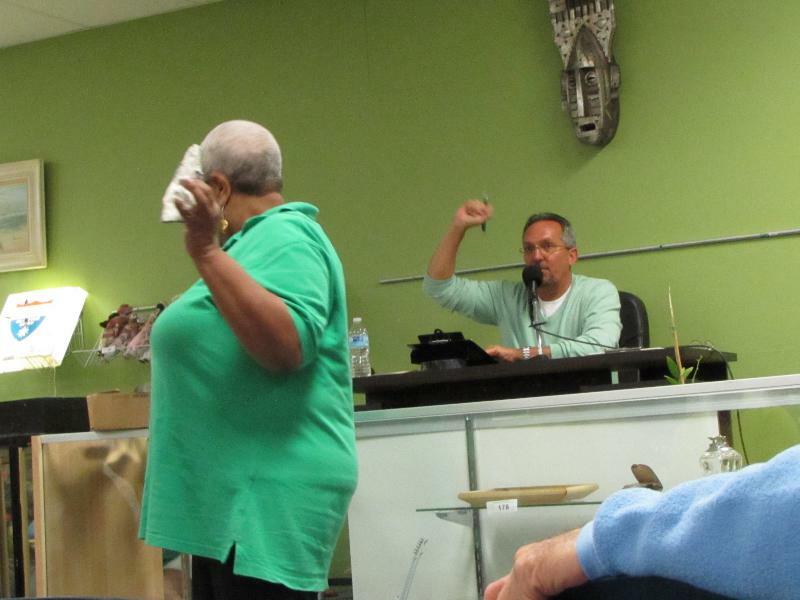 While in Clearwater, Florida, Sher and I found a listing for an auction the evening we were planning on being there. So off to Buddy’s Auction House we went. We found a great little facility that was packed with items up for auction that evening. This establishment has an auction every Tuesday night. Two sisters run the business which is named after a rescue dog that goes to yard and estate sales with the owners. Beth shared with me that she and her sister Ruth aquired the business in March of 2014 and their first auction was held on April 15th. Normally a full 70% of the items up for sale each week are owned by the sisters.They are constantly on the move buying at estate sales, yard sales and anywhere they can find good merchandise. When we first got to the business Beth was busy talking with folks who were previewing the items for that evening’s sale. She also told us some of the stories of folks she has interacted with in the business. Lots of people will put things in sales on a consignment basis. While I was talking to Beth a fellow came in wanting to put things in on consignment. Beth shared that she and her sister used to have ‘normal’ jobs but loved antiques and the hunt for good antiques. When the opportunity came along to get their own business they boh jumped at the chance. Now these lively vibrant ladies are living their dream and enjoying what they do. The auction stared at seven. We had spent the rest of the afternoon in the coach. About a half hour before seven we went in, got our bidder’s number and took one final look at the items up for sale. 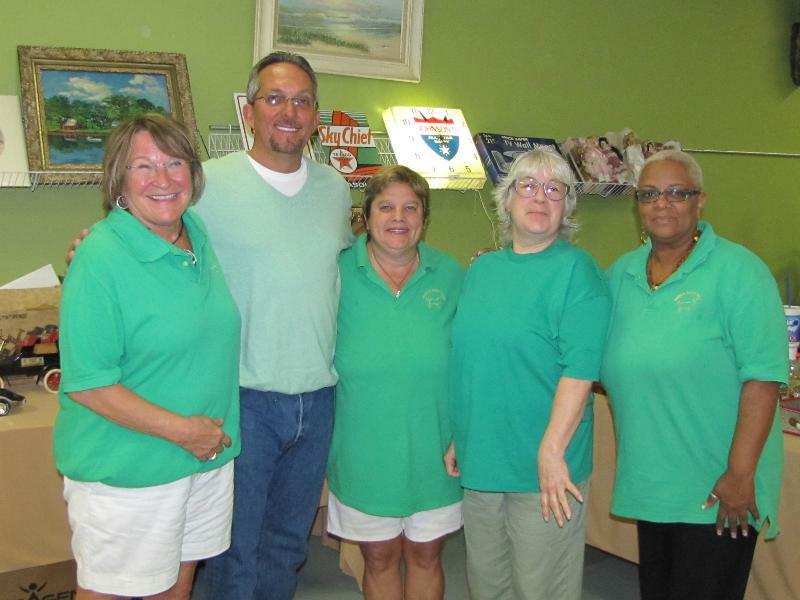 Ruth introduced me to their auctioneer, Vince Gepp, and the rest of the staff. We had a great time during the sale. Some items did prompt some lively bidding. And yes, I did end up with a few things that I thought I couldn’t live without. That is what happens we you keep bidding on an item until everyone else stops. 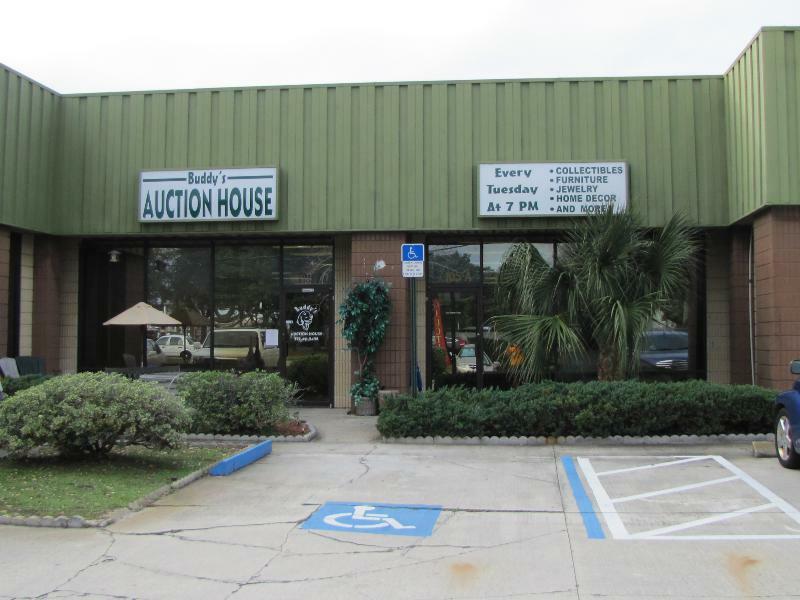 Go visit the Buddy’s Auction House website to learn more, and see what is up for sale next Tuesday night. You will find a friendly, helpful staff, have a fun time and chances are good you’ll also go away with a treasure or two. Sher and I highly recommend Buddy’s. Tell Ruth and Beth we sent you!